Ask anyone and almost all of them will agree that Australia has the best beach life in the world. Known for its laid back vibes, it’s no wonder the country is a top favourite for beach lovers. Boasting sunny skies, white sandy shores, waters of all sorts of blue shades and lush greenery, Australian beaches have got it all. Here are some of the most spectacular beaches that the land down under has to offer. 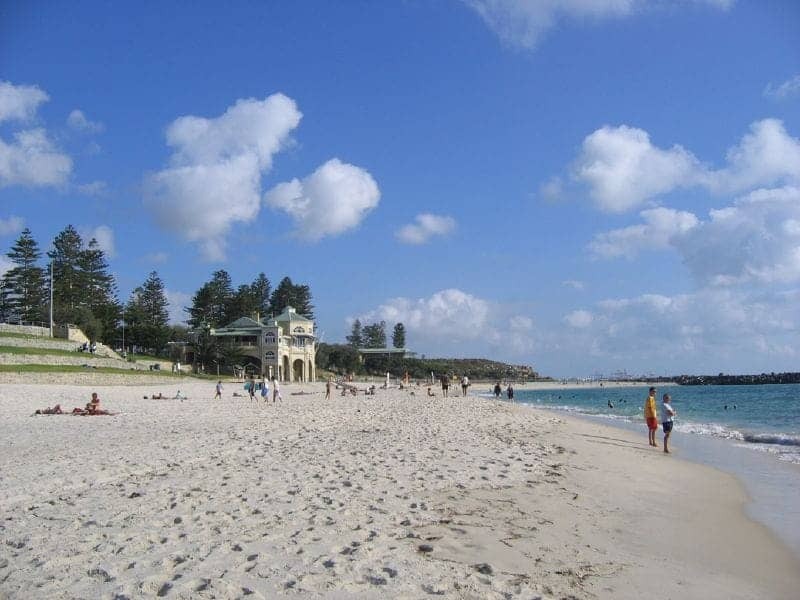 Located in Perth, Cottesloe is one of the best places to go for a swim while catching the sunset. Its waters are one of the bluest you will see coupled with fresh green grass fields further up from the shore which is perfect for a little picnic. Apart from its beautiful beach, the town of Cottesloe is known for its cafe culture, laid back lifestyle and the beachfront pubs where locals gather for a few drinks while watching the sun go down right before their eyes. Situated right beside the world famous Main Beach, the calm, clear waters of Wategos Beach is the ultimate place to go to unwind. 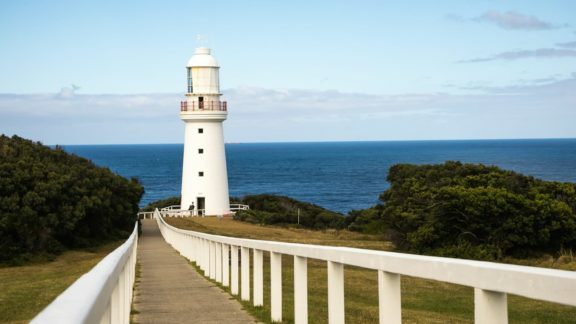 Lay by the beach under the iconic Byron Bay Lighthouse and enjoy the sounds of the gentle rolling waves. Wategos is also a favourite spot for Australia’s rich and famous so you just never know who you might bump into while on your holiday! Most people would associate Sydney with Bondi beach but this one is majorly underrated. 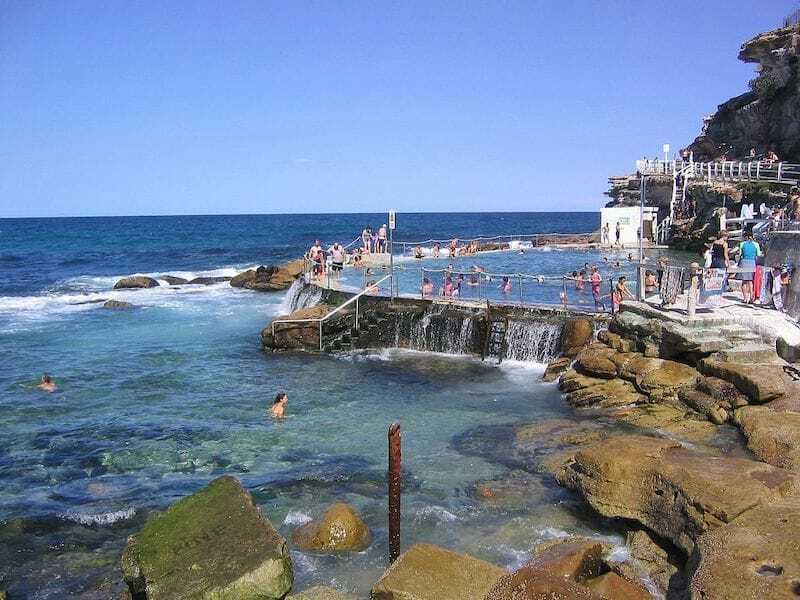 Bronte Beach lies on the eastern suburbs and not far from it is a small main street with quaint shops and houses. This one is family-friendly with a rock pool that kids can swim in, a huge grass patch and even a BBQ area. The beach is also clear of pubs so you don’t have to worry about drunkenness and disorder. It’s hard not to be mesmerised by the marble-like waters of Whitehaven Beach in Queensland. In fact, it was recently ranked the third best beach in the world on Trip Advisor for Travelers’ Choice Awards. 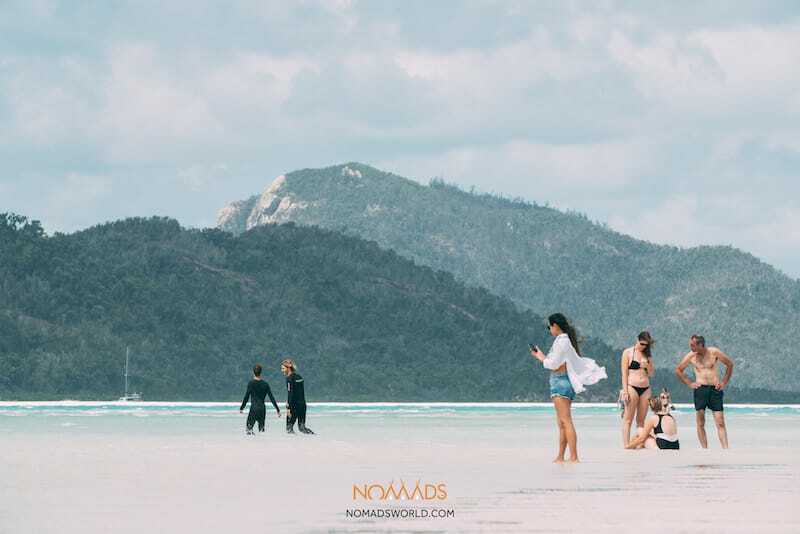 It also gained fame when Oprah Winfrey sunk her toes on the sand of this beautiful beach that is also at the heart of the Great Barrier Reef. Spanning 7 kilometers, just behind Whitehaven Beach is the Whitsunday Islands National Park. What a perfect blend of beach life and wildlife! This ultra-remote location in Cape Range National Park will have you feeling like you are on your own private island. 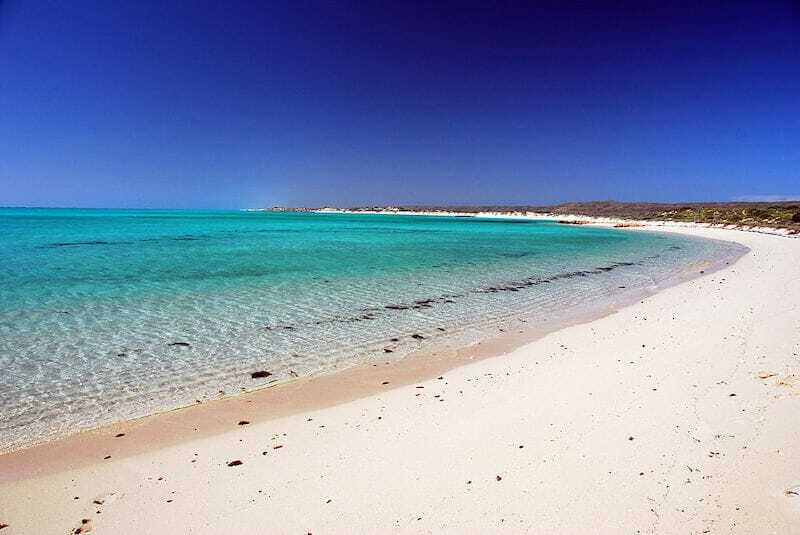 Turquoise Bay is located just a few meters off Ningaloo Reef—which is home to more than 500 fish species, making it a snorkelling paradise. Other fun activities that you can do on this beach include paddle-boarding or if you’re not the active sort, remember to bring along your pool float and just laze around on the bay’s gentle and shallow waters. Named after its unique wine-glass shaped curve, this beach is nothing short of a rainbow town. 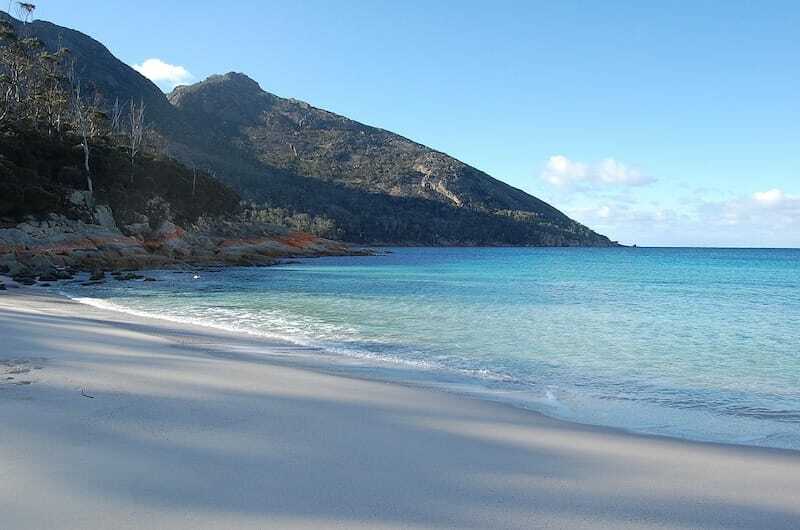 Boasting chalky white sand, sapphire coloured waters, and pink granite cliffs, this gem is located on the Freycinet Peninsula, which is a three-hour drive from Hobart. Wineglass Bay is also not far from some of the country’s best wineries. 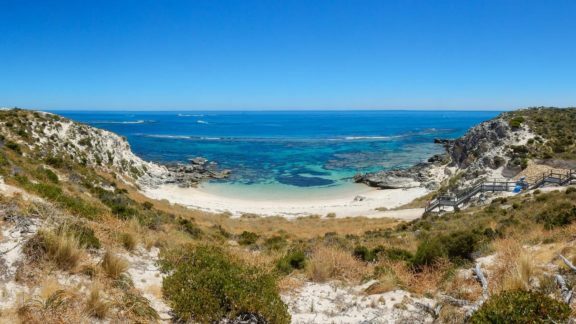 If you are doing a road trip, you might want to make a stop at the Milton Estate and pick up a bottle of Pinot Gris and some fresh oysters from the Freycinet Marine Farm for a beach picnic. Set against the backdrop of red ochre cliffs and the dark blue waters of the Indian Ocean, it’s hard to believe that Cable Beach is still kept under-the-radar. 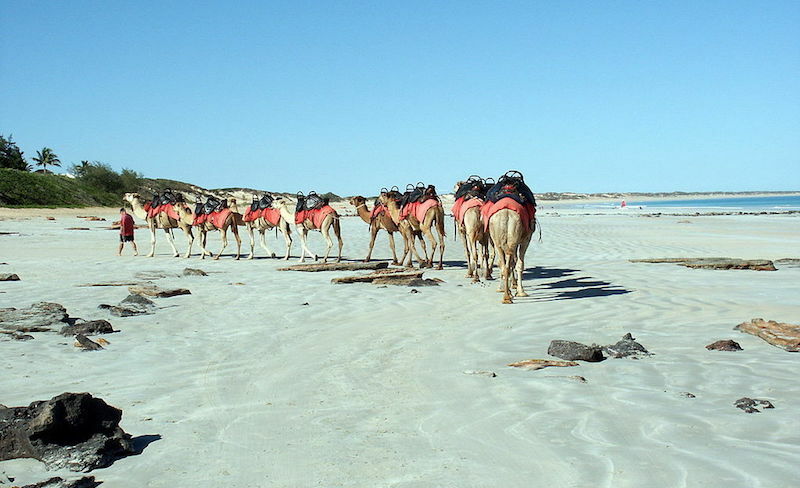 You can even take a camel ride amidst this 13-mile picturesque backdrop –– best during sunset or sunrise. 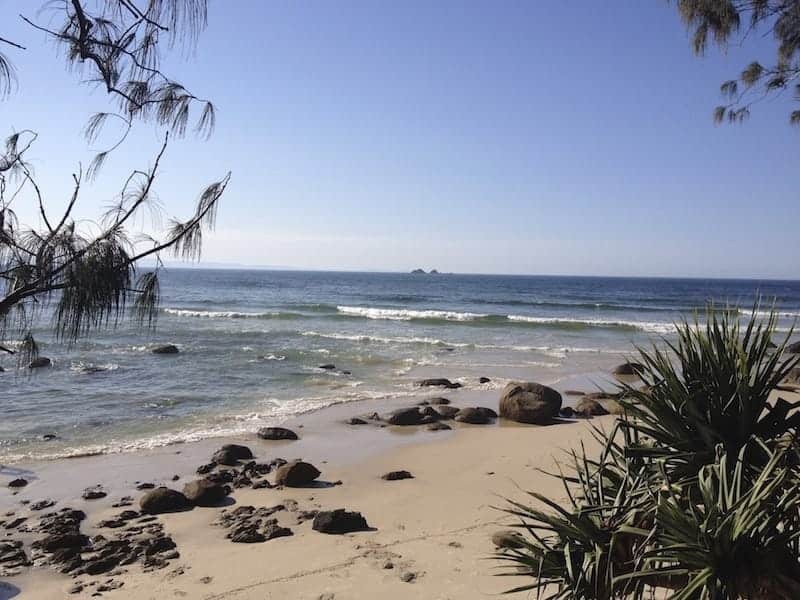 This quiet little beach is mostly frequented by locals which makes for a nice authentic Australian experience. Yes, this beach is indeed 75 miles long. But that is not all. Apart from the rugged white sands and blue waters, 75 Mile Beach offers a series of natural jacuzzi pools that are called the Champagne Pools because of their excessive ocean foam. On this beach, you will find volcanic formations and even a shipwreck. In these waters you will be sure to find plenty of whiting, bream and swallowtail fishes, making 75 Mile one of the top beach fishing spots in the world. 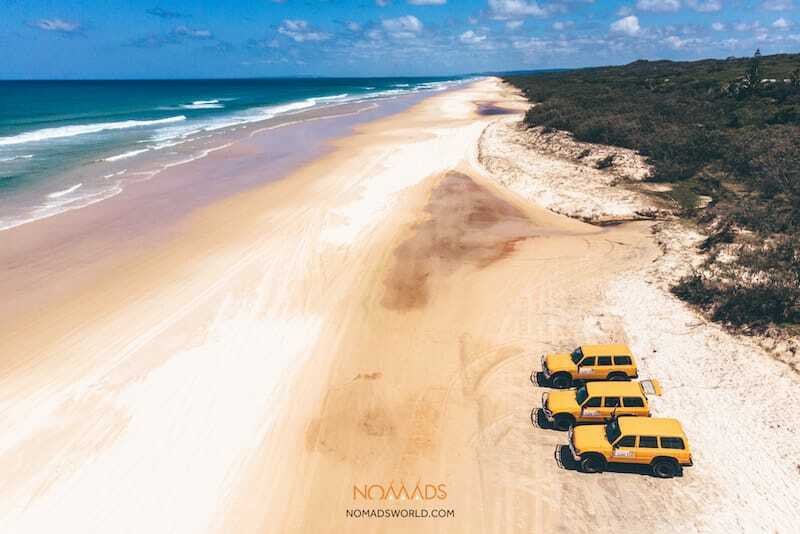 Book a trip to Fraser Island! Listed on Guinness World Records for “the whitest sand in the world”, Hyams Beach is the second most popular dive spot in Australia. 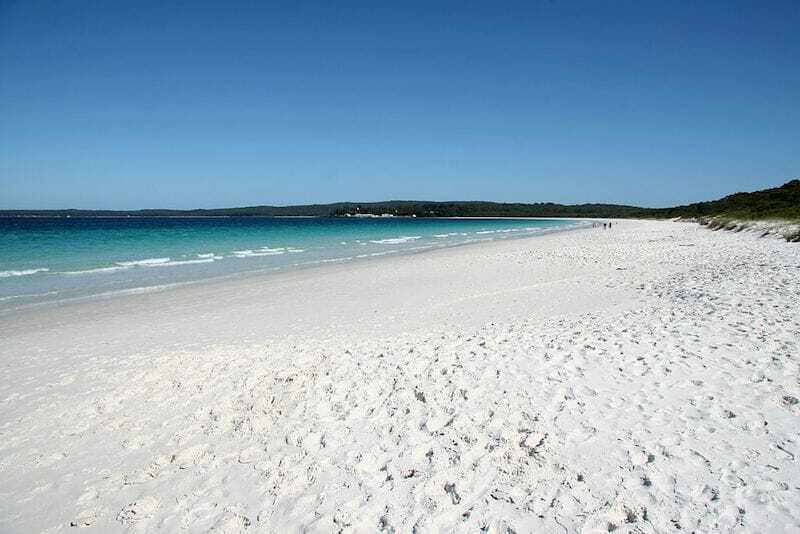 Situated along the southern shores of Jervis Bay, there is plenty to see and do on this beach. Among some of them are snorkelling, jet skiing, going on bush walks, or even renting a bike to explore the region’s cycleways. Just a heads up, you might even come across some furry friends like kangaroos and wallabies that hail from the nearby Booderee National Park. Barbecue facilities are also available, breathtaking picnic areas, playgrounds and shops can be found just a short walk away from the shores. 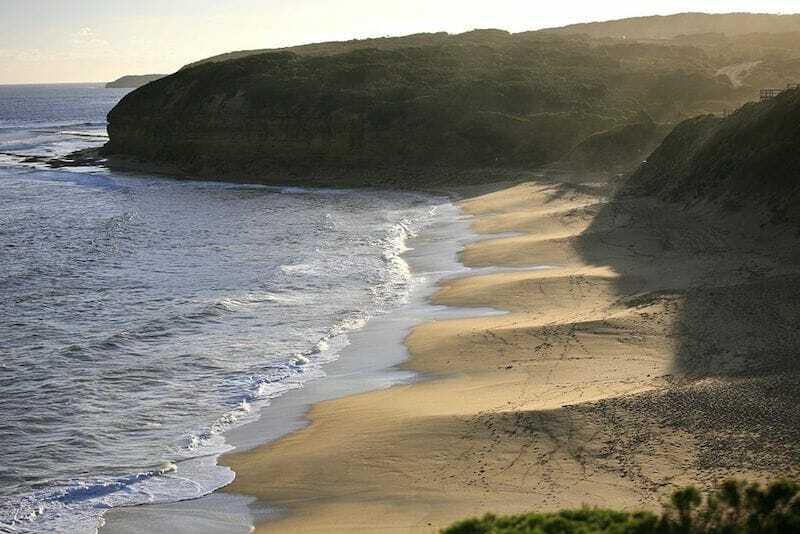 A world-famous surf beach, Bells Beach is where you will get to see the top-ranked surfers in action during the Rip Curl Easter Pro, the world’s longest-running surf contest. High cliffs tower over the colossal waves that slow down and steepen over the multitude of reefs, creating a spectacular surf. Non-surfers can lay back, relax and watch the action on the golden shores while also enjoying the surrounding coastal scenery. Surrounded by reefs, national parks, marine life and even wildlife, I think one can agree that Australian beaches are on a whole other league. 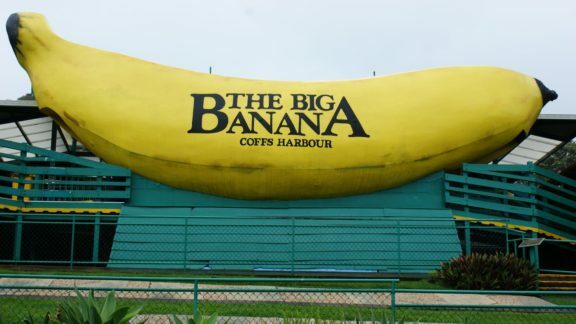 Whether you are looking for a fun activity-filled family holiday, a romantic getaway or a solo adventure, these beach spots will certainly not disappoint. 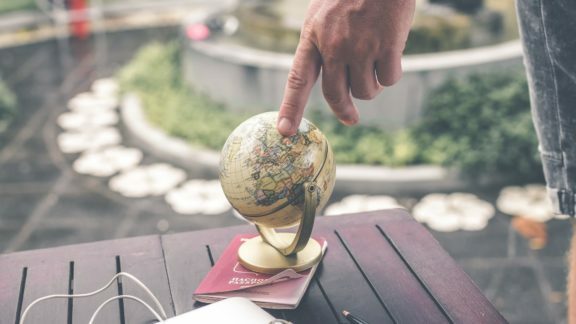 Don’t forget though, that summer season in Australia is reversed so the best time to plan your Australian beach holiday is during the end of the year –– perfect for those wanting to escape from the winter season! Author: Sandra Seda is a Journalism & Mass Communication major, and is currently writing Travel-related articles for The Floatys. Her strong desire to seek adventure fuels her passion to share exciting findings of the world. You can find The Floatys Instagram @thefloatys.